The UTAH-400 Series 2 hybrid IP video routers are designed to provide a single platform for all signal formats including those used in IP networks. Each router is based on a unique hybrid architecture, making it ideal for even the most complex signal management environments. Robust tools for switching and processing signals drive a complete, integrated, and flexible system for the facilities of today and the future. 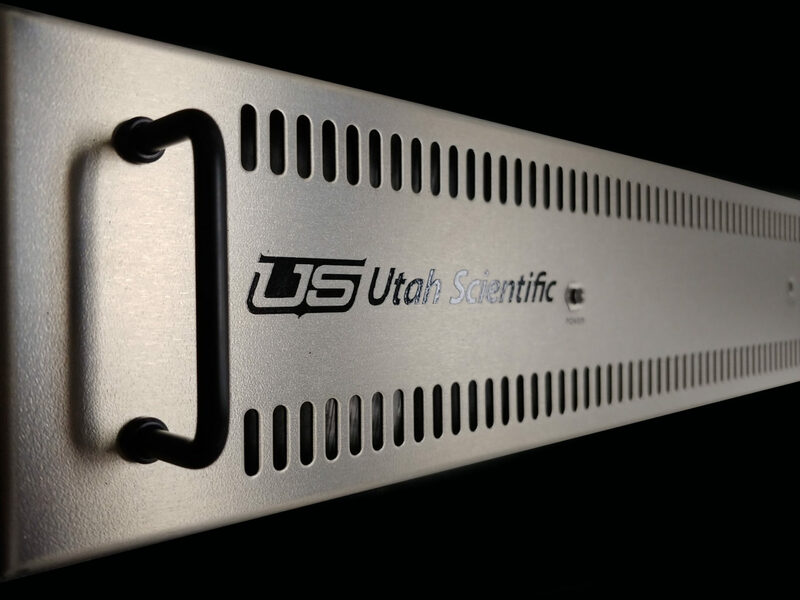 Utah Scientific has introduced a family of advanced modules that greatly simplifies system design, delivering a wide range of router functionality in a single frame that otherwise would require the addition of external equipment. Modules enable SDI management, IP decoding and multiplexing of SMPTE ST-2022, synchronizing incoming signals to a common reference, clean-quiet switching on specific outputs, audio shuffling, de-embedding and embedding, AES, MADI, and support for fiber and analog formats. In addition to this configuration flexibility, the UTAH-400 Series 2 offers a common set of I/O cards for any frame size. 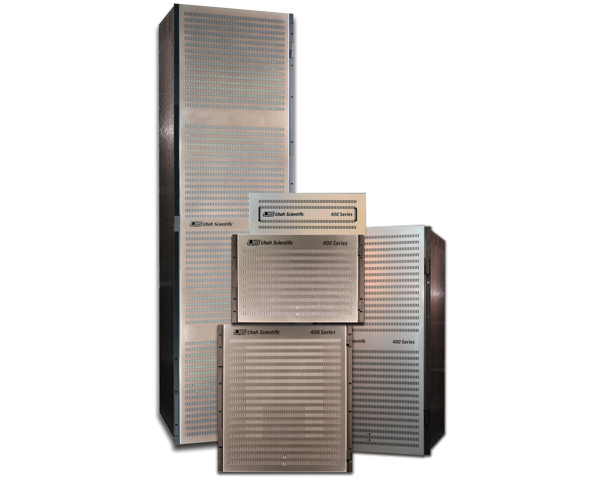 Modular and hot swappable from the front, the cards reduce physical space requirements and power consumption dramatically for increased efficiency and long-term scalability in your operation. UTAH-400 Series 2 routers are readily scalable from 72 x 72 to 1056 x 1056, offering frame sizes of 72 x 72, 144 x 144, 288 x 288, 528 x 528, and 1056 x 1056.
. 270Mbps, 1.485Gbps, 2.970Gbps, DVB-ASI.